Educational Talent Search (ETS) is a federally funded TRiO program that helps individuals achieve their dreams of one day attending college. 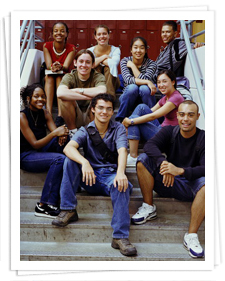 TRiO ETS is open to middle and high school students who meet federal TRiO first generation and income guidelines. The student must also attend a TRiO ETS target school in Jackson County. ETS has helped millions of students go to college and can help you to attend college anywhere in the country - provided you are academically qualified. Discover your potential - open the door to college. All applicants are required to complete a TRiO ETS application form. Federal funds have been allocated for the TRiO Educational Talent Search program. 100% of this project is financed through a grant from the U.S. Department of Education.